I would like to thank everyone who attended NetApp Insight last week, despite the tragic circumstances. As NetApp CEO George Kurian says, "when tragedy strikes, community is more important than ever." And among other things this year, NetApp Insight 2017 represented the community’s ability to stand strong in the face of senseless violence. Throughout the conference NetApp proved the different ways they are changing the world with data. This was done using real life exampes in areas such as medicine, space exploration and business intelligence. Adam Steltzner (the "rock and roll" engineer / Chief Engineer of Mars exploration at NASA delivered an especially impressive session. ONTAP is the storage OS that runs everywhere - in the cloud, near cloud, on-premises and on commodity hardware. The new ONTAP brings better QoS, over 40% higher performance, 30% higher storage efficiency and stronger security, plus new compliance capabilities. Enterprise NFS in Microsoft Azure: NetApp introduced the first enterprise NFS service within MS Azure for Linux users based on ONTAP Technology. It includes data services including snapshots. FabricPool within Azure: The All-Flash FAS FabricPool functionality reduces the cost of cold data by automatically tiering it from on-premises to cloud and now integrates with Azure Blob Storage. Cloud Control (backup of Office 365) to MS Azure: Partners that have a strategic partnership with Microsoft will love this. AltaVault New Feature: With support for Microsoft Azure archive storage, you can select hot, cool, or cold storage according to your data protection needs. NetApp introduced the first enterprise-scale HCI. As you know, the current HCI solutions available in the market (HCI 1.0) are built for SMB and cannot scale to the enterprise level. With NetApp HCI 2.0, the adoption of this technology in the enterprise market is expected to increase significantly. SolidFire now includes a disaster recovery solution based on SnapMirror replication. This allows native data movement between Element OS and ONTAP based storage systems, and user-defined QoS policies that simplify management of guaranteed storage performance. During the course of Insight 2017 there were many more exciting announcements regarding StorageGRID, OnCommand, Insight Software, Altavault and the enhanced integrations now capable with AWS and Google Cloud. If you’re interested in learning about new technology solutions and opportunities offered to Canadian business partners, be sure to check out the daily video highlights for more interesting Insight 2017 event footage. 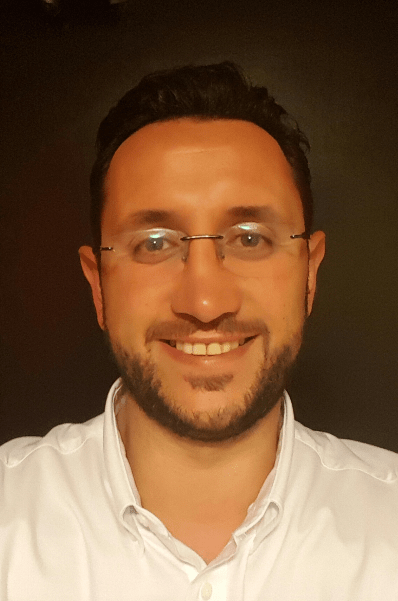 Louaye Rachidi is a seasoned Systems Engineer (Pre-sales / Technology Consultant) professional with 10 years experience in the IT field. He has extensive knowledge of the end-to-end sales cycle and his role includes identifying, positioning and proposing technology solutions to address business problems and opportunities. He has experience in delivering IT infrastructure solutions to a wide range of businesses and sectors as well as developing strategic relationships with business partners.